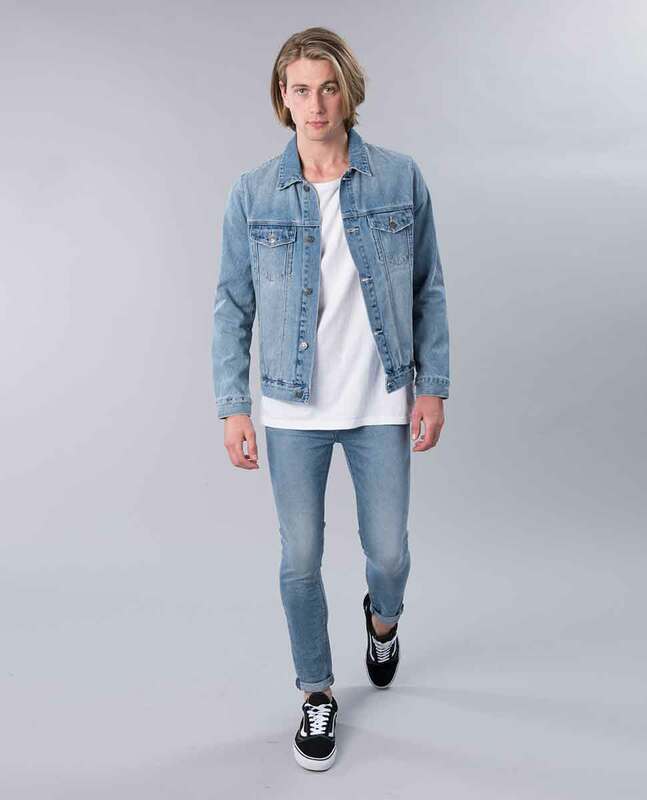 Enhance your wardrobe with this simple and cool mens denim jacket. 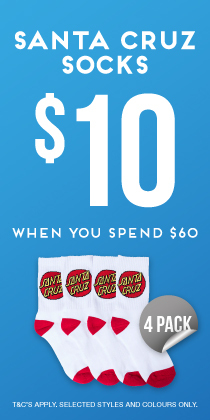 Featuring a classic button-through design plus distress detailing, it will look great with all your favourite tees. 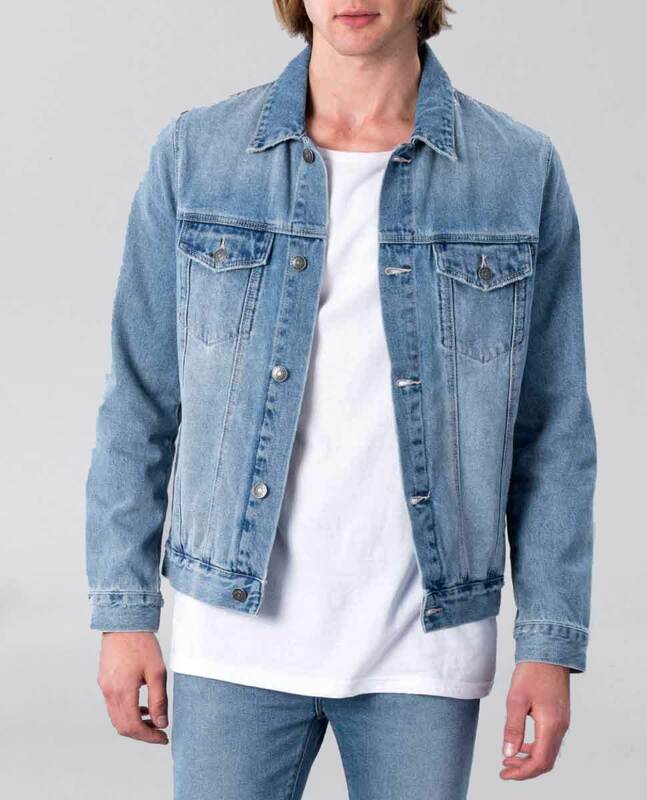 A Denim Jackets a regular fit denim trucker jacket. 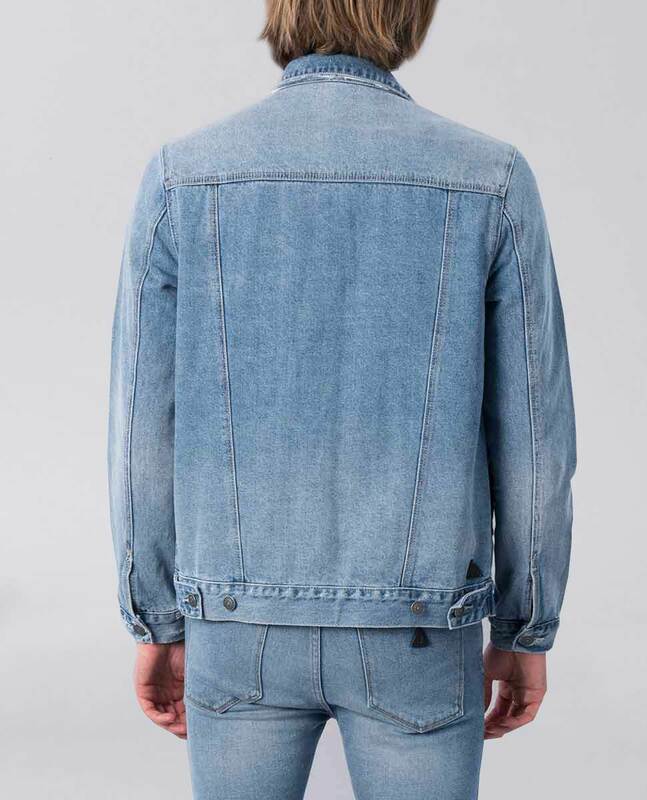 Indie Trash been meticulously crafted with subtle hand made destruction and abrasions to hem, body and cuff and Heavy destruction behind the collar, in a mid-lived-in wash.